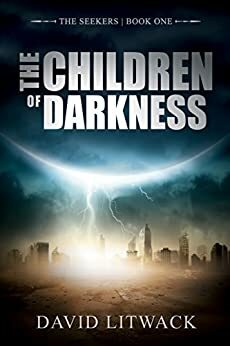 Children of Darkness is a beautifully crafted story, with superbly written language and dialogue, it is such a pleasure to read. It is a story that is not unknown, the light vs the dark, but it has been told in such a way as to capture not only the adventurous spirit in all of us, but also our hearts. Some calamity has happened in the past, basically returning Humanity to an earlier time of development, back before electricity and the modern age. People are happy, for the most part with their lives, going about their daily chores, but there are those called the ‘Vicars’ who keep people in line through fear of ‘The Darkness’ and what came before. Everyone now worships ‘The Light’. After their friend, Tom, is taken to a ‘Teaching’, Orah and Nathaniel, all 3 lifelong friends, Orah and Nathaniel, decide that they cannot undergo a ‘Teaching’. When Orah is taken, this leads to a chain of events that will see the friends eventually go on a Journey to find an ancient place, the Keep. It is here that answers might be found, and a way to stop the Temple of Light. This story is about their journey, not only to find the keep, but also as they grow individually and learn about their own light and darkness, and that sometimes it isn’t all just straight lines. There are elements of this story that reminded me of John Wyndham’s work, the artistic nature of the work, and the clever dialogue between the characters. The characters themselves were also incredibly well written, Nathaniel, the courageous young man, full of passion, but sometimes forgetting control. Orah, fiery, intelligent and beautiful, but with a calm patience that can hold the group together, and also talk them out of trouble. Tom is the friend that reminds Nathaniel and Orah of who they are, and what they are doing. He grounds them, and at the same time, he is also incredibly cunning in his own right. But he is also being consumed by ‘The Teaching’. This is a story that can easily rival those like the Hunger Games and Divergent, as it is not only more intelligent, but the writing is superior in so many ways. Whilst there are elements of romance between the characters, they haven’t lost a large part of the story in ‘love triangles’. This is a story about understanding the light and dark in all of us, that we are made up of a bit of both of it (or in some cases some people lean more to one side than the other). It is incredibly powerful, and I would recommend it to anyone who likes dystopian works, especially works like Chrysalids, Hunger Games, or the Tripods Series. As a high school teacher and avid reader, I am constantly in search of books for my students as well as myself. 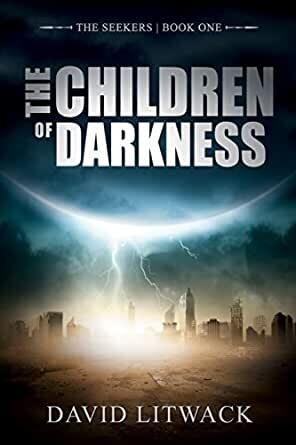 David Litwack's The Children of Darkness is a perfect story for young adult readers, but its underlying theme and character development will keep any adult engaged. Nathaniel, Orah, and Thomas go on a journey to discover the keep, a rumored hidden treasure that many believe never existed or has been destroyed over time. Through their quest, the three main characters work to solve a riddle while meeting many strangers that provide them with more questions than answers. These questions, however, are the heart and soul of this book: How can just a few young people change the world? If all progress were stopped, would we look back to the knowledge and wisdom of our ancestors? David Litwack writes the message I hope all of my students hear: "Ideas combined with courage can change the world." 5.0 out of 5 starsBeware of the Darkness!!! Orah Weber sat near the bonfire, fearful that Nathaniel would show up tonight when the vicar was due to arrive. Nathaniel was now an adult and subject to the choosing for the coming-of-age ritual. He longed for something great, outside of their village in Little Pond. But Orah was afraid for him. When the vicar arrived, the whole feel of the village changed and became more somber. After the blessing was given, the vicar announced that one would be chosen for a teaching so that he could be a soldier of faith. No one who had experienced the teaching ever spoke of it when they returned. Fearing for Nathaniel, Orah listened as the vicar announced that Thomas, her second best friend, would be the chosen one to accompany him to the Template for the teaching. All were well aware that this would not be a pleasant undertaking. The indoctrination by the vicars was a sensory deprivation nightmare that must be endured. The message that the darkness must be thoroughly understood and its return prevented is repeated over and over. If he could not betray the names of his friends, he was not yet deemed ready to return home. He sank down in the pitch-black chamber so his “training” could continue. The wealth of description in this book is amazing! I could clearly envision each scene, and thoroughly knew the personalities of each of the characters. It was as if the author were painting a vivid world for me as I read. I clearly felt the emotions of the characters, and it made the book come alive. And there is so much more to learn from the main characters' adventures which have broader application to life and teach what is important. This is a good read and definitely recommended. In Stuff of the Stars, award-winning author David Litwack told the story of childhood friends Orah and Nathaniel, and their voyage to find the descendants of the Keepers in the hopes they would be able to help them understand the secrets kept within the Keep, a storehouse of knowledge of the time before the Darkness. I read this book before book one, The Seekers: The Children of Darkness, and became curious about the events that led up to the fateful voyage, events that were alluded to in the second book. After finishing The Seekers, I am even more impressed with Litwack’s ability to create a believable post-apocalyptic world. Orah, Nathaniel, and Thomas have been friends since childhood. Living in their tiny village of Little Pond, they want more out of life than is offered by the teachings of the vicars of the Temple of Light, but are afraid to challenge the status quo. When Thomas is taken away for ‘teaching,’ and returns with his spirit broken, they become even more determined to break away from the oppressive order. The defining moment comes when Orah is taken for teaching, and Nathaniel defies his father and follows after her to rescue her. Held prisoner in the Temple City, Nathaniel encounters a fellow prisoner, Samuel, who has been imprisoned for decades. He learns that Samuel is a Seeker, who, as he approaches the end of his life, is looking for someone to take over for him, and he believes that Nathaniel is that someone. Armed with secret instructions from Samuel, he travels with Orah and Thomas in search of the Keep. When they find it, all that they thought they knew is challenged—moreover, they are determined to challenge the iron hold the Temple of Light has over the people. The Seekers is post-apocalyptic fiction at its best. Without going into great detail, it addresses issues that are relevant today—and nails down the truth; power corrupts, and the desire for power leads to unimaginable evil. It also shows that for evil to prevail, it is only necessary for good people to stand by and do nothing. If you’re a fast reader, you can probably finish this book in about three hours, but give yourself more time. This is one you need to read slowly so that you can absorb all the messages that it so skillfully conveys.